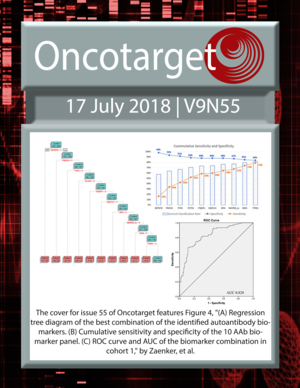 The cover for issue 55 of Oncotarget features Figure 4, "(A) Regression tree diagram of the best combination of the identified autoantibody biomarkers. (B) Cumulative sensitivity and specificity of the 10 AAb biomarker panel. 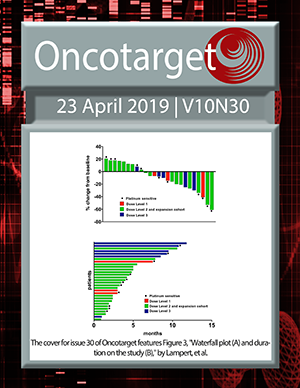 (C) ROC curve and AUC of the biomarker combination in cohort 1," by Zaenker, et al.